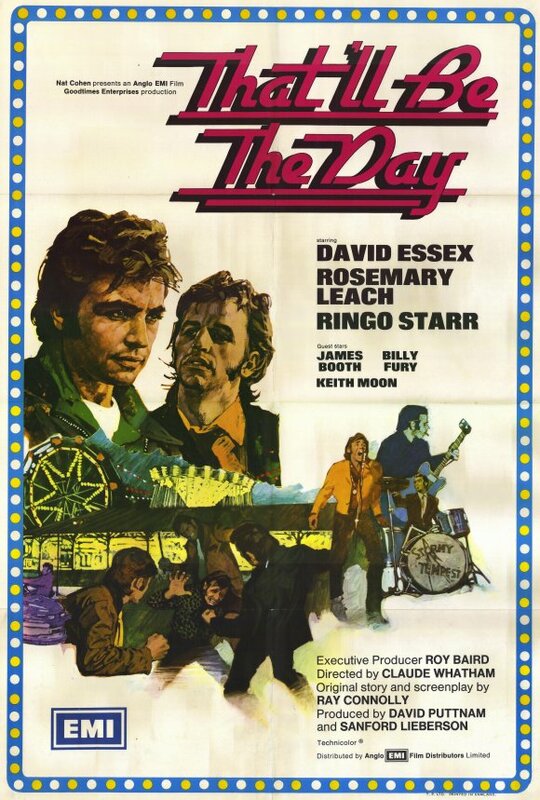 That’ll be the Day is a 1973 British film starring Ringo Starr and actor/singer David Essex (“Rock On”). It takes place in England in the late 50’s and early 60’s and captures what it must have been like growing up there, right before The Beatles were to take over. Ringo almost steals the movie, although Essex does strong acting too. The whole movie just looks and feels authentic (it was shot partly on the Isle of Wight.) Ringo especially, just fits the role, playing someone he could have actually been. 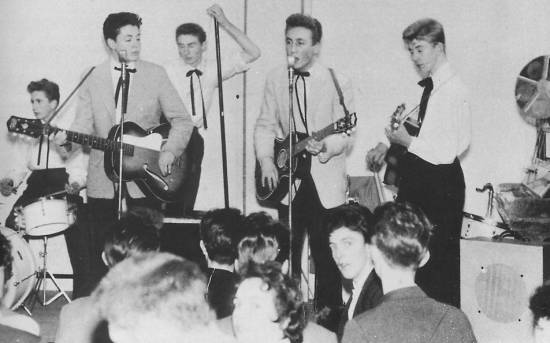 Before The Beatles, Ringo was in a band called Rory Storm & the Hurricanes and until The Beatles, they were the most popular band in Liverpool. In fact, one of the characters, Stormy Tempest is a play on the name Rory Storm and is played by British singer Billy Fury and The Who’s Keith Moon is also in the film. 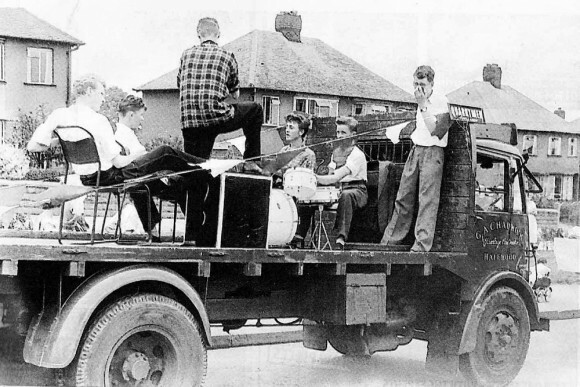 Ringo actually played similar holiday camps when he was with Rory Storm. 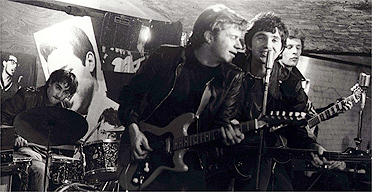 The film was written by Ray Connolly, from Liverpool and later a London journalist, who knew The Beatles well and their story. He would later write the respected book, John Lennon 1940-80. As I said, his screenplay and the movie evokes the era and characters perfectly. 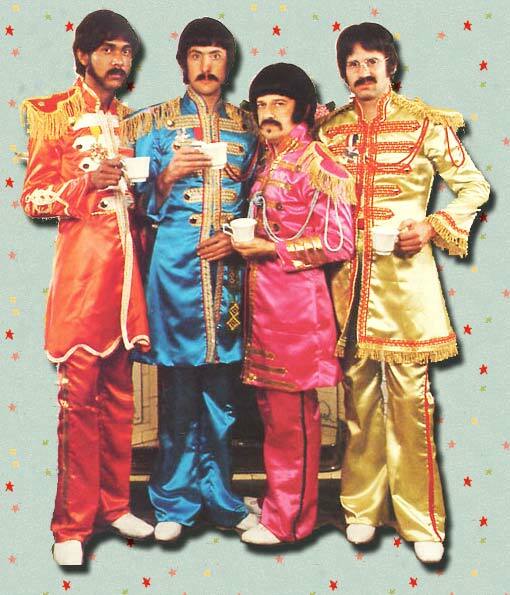 And Ringo especially, dressed up in his stove-pipe “drainies” and slicked back hair-do, looks and acts the part. Essex expresses the growing ambition to become a rocker by the end of the picture. The soundtrack is made up of some of the best rock ‘n’ roll songs of the 50’s and early 60’s. That’ll be The Day did so well in England, especially, that it led to a follow-up film in ’74 called Stardust. Essex’s character, carries on to become the rock star he yearned to be in the first film, but he also gets caught up in its trappings. 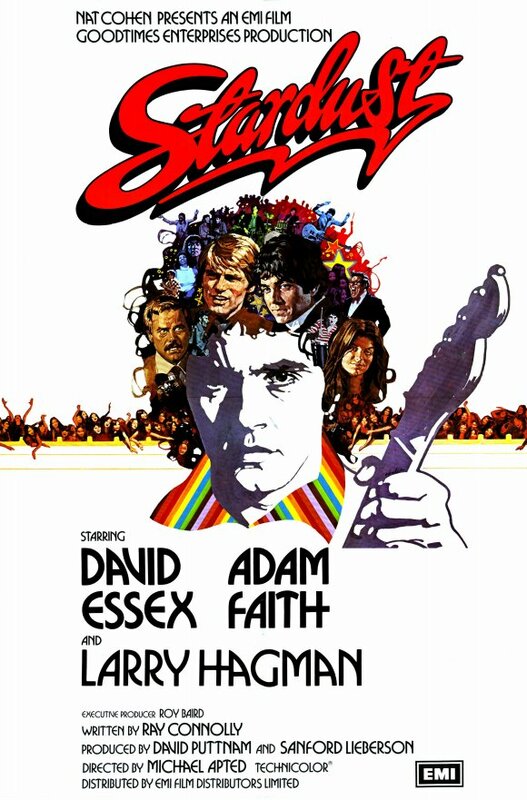 Stardust, the sequel also has more British rock musicians playing roles in it, like Adam Faith and Dave Edmunds (but not Ringo). 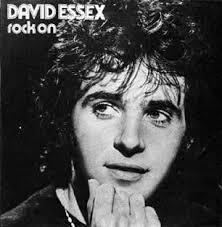 David Essex, besides his big worldwide hit, “Rock On” in 1973 would go on to remain popular in the U.K., both as a singer and actor. 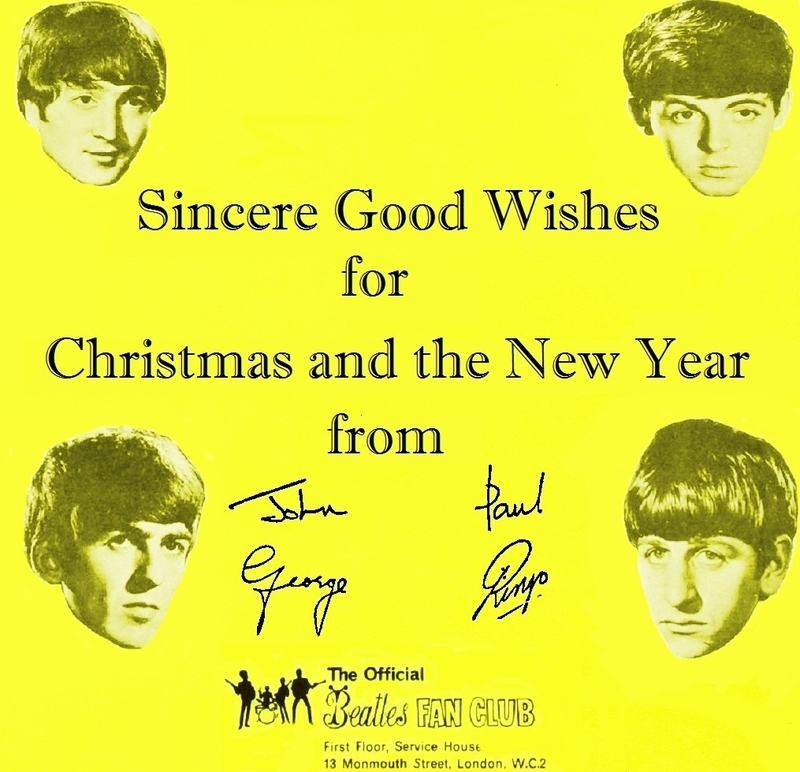 This entry was posted in 1960's, George Harrison, John Lennon, Music, Paul McCartney, pop culture, Ringo Starr, rock, The Beatles and tagged "Rock On", 1950's, Adam Faith, Billy Fury, Dave edmunds, David Essex, England, film, Holiday camps, Keith Moon, Liverpool, pop music, rock 'n' roll, Rory Storm and the Hurricanes, Stardust, That'll Be The Day, U.K. on November 14, 2014 by Alan L. Chrisman. EXCLUSIVE: THE IMPOSTOR FOR “PAUL IS DEAD” RUMOR REVEALED! EXCLUSIVE: THE IMPOSTOR FOR THE “PAUL IS DEAD” RUMOR IS FINALLY REVEALED! 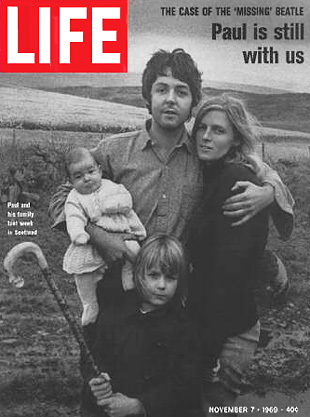 In October 1969, a rumor went around the world that Paul McCartney had died and been replaced by an impostor. Despite the presence of certain “clues” at the time, which have not all been fully explained, it has been dismissed since, by many scholars as an example of mass hysteria. I actually was in on its early beginnings and have written extensively about it (see my previous academic paper: Inside Story: “The Paul is Dead Rumor and its sociological Implications). But I have just learned, after all this time and years of study, that there may have been truth to it, because I recently actually met the Paul McCartney impostor and interviewed him with the real story, which is being revealed here, exclusively, for the first time. The impostor, who didn’t want his real name revealed, goes by the initial, “D”. For the first time, after all these many years, the real truth can finally be exposed. Here exclusively for the first time anywhere, “D” is revealing his real identity and the band’s and some of their clues. Finally, Beatles’ fans and scholars will learn the whole story. Included in this article is the band’s rare and now collectors’ album of 1978 and people can look for the clues themselves, and which substantiates everything “ D” has said. Collage of albums by McCartney impostor”D”s satire cover band (and mystery band’s actual name, if you look hard you can see name and clues). The mystery band to the “Paul is Dead” rumor finally revealed. with impostor” D”: SGT. 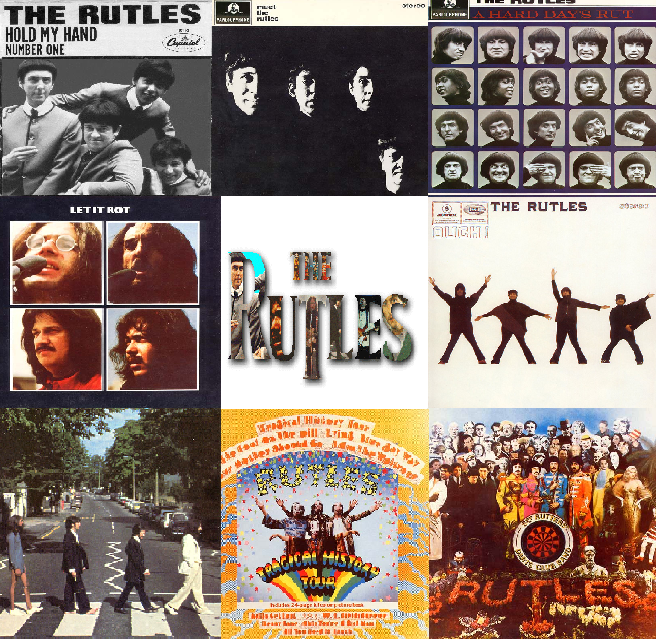 RUTLES! “Lets be Natural” originally a John Lennon song stolen by “D’ , one night in the studio- on which, if you listen carefully, you can hear Yoko breathing, clue that Paul no longer can. 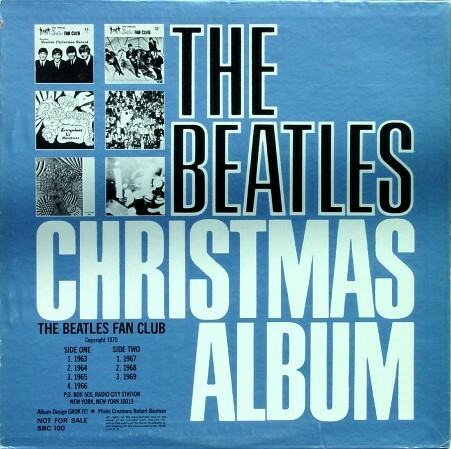 “Number One” in which it’s exposed that the record company was willing to go to any lengths to have another Beatles’ “Number One”, even if they had to use a fake McCartney and kept it from their fans. This entry was posted in 1960's, George Harrison, John Lennon, Music, Paul McCartney, pop culture, Ringo Starr, rock, The Beatles and tagged "Archaeology, "Paul Is Dead" Rumor, All you need is Cash", BBC, British, England, Monty Python, Satire, Saturday Night Live, The Rutles, U.K. on November 10, 2014 by Alan L. Chrisman. 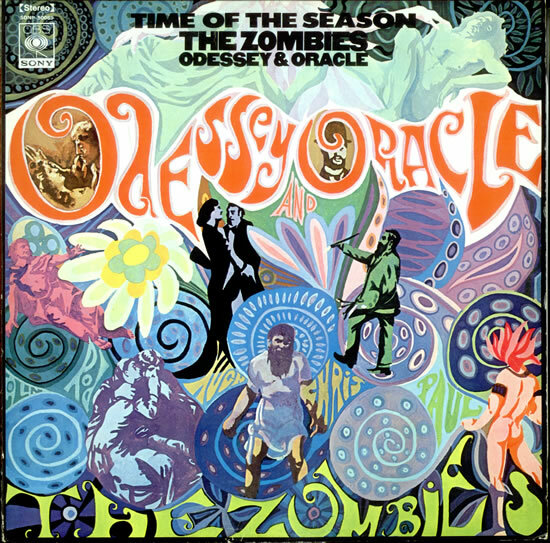 The Zombies’ 1968 album, Odessey and Oracle, was underappreciated at the time, now considered a classic. vocals by Colin Blunstone, a kind of more jazzy feel more than traditional British rock. They had their first hit, “She’s Not There”, in 1964 and followed up with “Tell Her No” in ’65. Their first British album, Begin Here, contained those, plus some R&B covers. But it wasn’t until they recorded their 2nd album, Odessy and Oracle, that they finally had another big hit with “Time of the Season”. Actually, the album wasn’t popular at first, until Al Kooper (keyboard player on Dylan’s Hiway 61 Revisited and Blonde on Blonde, founder of Blood, Sweat & Tears, and session player on many other albums), put pressure on their record company, Columbia, that it was finally released in the States in ’69 and the song became a #3 hit. The Zombies had recorded Odessey and Oracle at Abbey Road studio and had used a Studor four-track recorder, similar to the one used on The Beatles’ Sgt. Peppers, and like them, had used a Mellotron and cello. As I say, the album didn’t sell well, but it’s now considered one of the best albums released in the 60’s with its psychedelic production (it’s ranked # 100 out of the top 500 albums of all time by Rolling Stone Magazine). By but by this time, The Zombies had broken up. Leader, Rod Argent, would go on to co-write songs with former Zombies bassist, Chris White, with vocals by Russ Ballard, in his new band, Argent, again with that strong keyboard sound on a Hammond B3 organ and have a big hit, “ Hold Your Head Up” on their album, All Together Now, in 1972. The song would also be a hit for the band, 20/Twenty in 1987. So the Zombies were an interesting band with their haunting, jazz-tinged minor key organ backing and captivating vocals and songs. 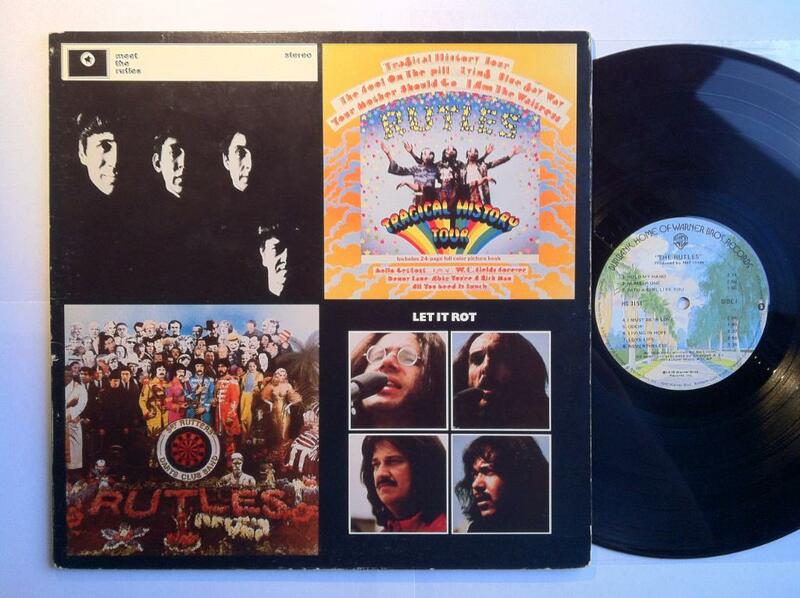 Their underappreciated 2nd album, Odessey and Oracle, is now considered a classic; they can “Hold Their Head Up”. This entry was posted in 1960's, Music, pop culture, rock and tagged "She's Not There", "Time of the Season". "Tell Her NO', British Invasion, England, Halloween, Odessey and Oracle, THE BEATLES, The Zombies, U.K., Zombies on October 30, 2014 by Alan L. Chrisman.